Jamie was recommended to us by a relative for our house purchase and we can now see why. Handled all the affairs in the most professional manner, helping is in all aspects as we went through the procedures. We were let down very badly by previous solicitors that ultimately saw our house deal fall through, however Jamie’s efforts restored our faith in the legal profession, and we bought our dream home in the end without any issues. We are happy and have absolutely no hesitation in recommending Jamie and his firm for the future. Many thanks to Colin at what was a difficult time for us in dealing with and getting probate matters sorted. Thank you also to Serena on reception. A great team! Excellent first class service and very efficient transactions in selling our property. Many thanks to Jamie, Leanne and Serena. Fantastic team. I chose Barrett Law because of the testimonials. I am very grateful to Jamie for his help in the whole process of purchasing my house. I never felt a nuisance if I called for clarification and found them a great comfort as I navigated my way through. I know that should I need them in the future I could totally rely on them and would thoroughly recommend them. Thank you for completing our Wills. Keep going as you are; every time a first class service. I have moved a few times over the years and I must say that Barrett law has been, by far the best conveyancer I have come across. Even our mortgage broker pointed out what a pleasure it was to deal with this firm. Jamie, Leanne and the team are very knowledgeable in there field, easy to talk to and are always available when needed. Not once through the process did I feel the need to chase them and I was always contacted when required, I felt assured that all the work was being carried out in the background. When the time comes again I will definitely be using Barrett law and I will be heavily recommending them. Thank you guys for a pleasurable sale and purchase. Colin has just completed the probate on my Father’s Estate – he was supportive, knowledgeable and incredibly efficient – just what I needed at this difficult time. Jamie and his team have provided a first class service, very attentive and friendly. I would not hesitate to recommend them or use them again. Having put off doing Wills for far too long, the process was so much easier than expected. Our wishes were quite complex but still our Wills were completed in a very short space of time, with highly useful guidance and advice – thank you Barrett Law. As usual received first class service from Jamie and Leanne. They kept us updated every step of the way. We wouldn’t hesitate to recommend them and will certainly use them again. For us it is Barrettlaw every time. This is the second time we have used Barrett Law for our house move. I cannot recommend them highly enough. It is a small business and that is reflected in the personal, attentive and efficient service they deliver. They are very customer focused and a pleasure to deal with. Professional, efficient, excellent communication and fun! Lovely team. 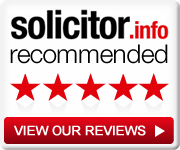 I have used them a few times for conveyancing and wouldn’t hesitate to recommend. Colin has helped us with our Wills and Lasting Powers of Attorney in a calm, helpful and professional manner, thank you Barrett Law. Very helpful, professional and efficient, can’t fault them. Highly recommend. We recently used Barrett Law to purchase a house, the process was extremely smooth and Jamie was a pleasure to deal with along with Sheila on reception. We’ll use Barrett Law again for our Wills. Having my Uncle die intestate would have been so much more difficult if I hadn’t had the calming, professional assistance of Colin to navigate matters on my behalf. I used Barrett Law for a recent property sale and was delighted by the pro-active, professional service I received. I would confidently recommend them and will use them again for future needs. I cannot recommend Barrett Law solicitors / law firm more highly. They are based in Marlow Bottom . Jamie and team have completed 2 house moves and a couple of other legal matters for me in recent years, and would never consider using anyone else. He and his team are so approachable, friendly and helpful. Jamie in particular makes this stressful process so clear, straightforward and most importantly provides solid legally sound and practical advice. They are a dream team!! I was dreading the sale of my London flat because of all the legal jargon, queries and inevitable delays. However, I have to say that Jamie (and Leanne) took all the queries, liaised with the Estate Agents, solicitors and a whole lot more. I think the lease had to be rewritten , and this was done without any stress being passed on to me. The alien legal speak was made understandable. Jamie, thank you for being so patient with me, tolerating my disorganisation and taking the time to explain things simply (and repeatedly!). Colin advised on probate for us and was it was the best decision as we had no idea how complex matters could be. He helped us at a difficult time and would highly recommend Barrett Law. Jamie and Leanne helped us with the probate for my relative’s estate – they were prompt, helpful and very sympathetic at a difficult time. Their fees were what they quoted at the outset and I was really pleased that I chose them to do the probate for me rather than attempting it myself, it was worth every penny. Perfect service and advice given. It took a while as the house had a boundary dispute which needed to be resolved before we would purchase it. We were charged a fair and reasonable fee, especially given the complicated nature of the transaction. We would certainly use Barrett Law again. Great service, very thorough, very knowledgeable, clear and timely communication. I would definitely recommend Colin and will be using again. Great service. The whole process of selling my Mother’s house was made a lot easier using a local family firm who are committed to great customer service. A very stress free process. I had an alternative quote from a Solicitor nearer the property and Barrett & Associates were slightly cheaper. Used Barrett Law for our wills earlier in the year, and today Jamie completed on our house purchase in the UK. We live in Spain at the moment and everything was handled with speed and great efficiency. Cannot recommend Jamie highly enough. Barrett Law more than lived up to all of their incredibly positive reviews received in the past. Jamie was very thorough throughout the conveyancing process and always managed to get back to me promptly on any queries. Will definitely recommend to others in future! Jamie provided a very efficient and professional service from start to end and was exceptionally personable throughout. I would definitely recommend him to anyone purchasing a property. I would absolutely recommend Jamie Barrett to others. He was 100% efficient, thorough, always returned my calls promptly and was very clear and friendly to deal with. Definitely the best solicitor I have found. We used Jamie Barrett for our recent house purchase plus for writing our Will. Jamie provides an excellent service, he is extremely professional, very thorough and his charges are very reasonable. We cannot recommend Jamie more highly. He has been utterly brilliant and professional throughout a long-winded flat purchase. He is extremely efficient, personable and is very good at translating complex legal jargon into layman terms. We have already passed on his details to a number of friends and would definitely put any further conveyancing work his way. A pleasure to work with! I have used Barrett Law on a couple of occasions and I would not hesitate to recommend them. Jamie is professional, thorough, accessible and completely reliable. Throughout the process I found Jamie’s approach to be most friendly and helpful, but always most professional. Nothing was too much trouble, he explained everything carefully – thus reducing the worry of any legal jargon. This guy is truly exceptional, I cannot speak highly enough of him. Pro-active, competent, caring, and a real ‘make it happen’ attitude. Truly outstanding. My transaction involved remortgaging a flat and a new mortgage for a purchase. Both were handled extremely rigorously and professionally and on both transactions unearthed previous poor practices that we were able to follow up and rectify. This, together with a very personal service, gave me confidence in my transactions. I have no reservations in recommending Barrett Law. Prompt responses, Frequent updates. Clear explanations. Efficient service. I would highly recommend Jamie to anyone looking for a conveyancing/property lawyer. He was professional, thorough, responsive (even on holiday) and good value for money. Jamie has done our wills, provided advice on probate and carried out conveyancing as part of a relative’s estate. He has always been helpful and courteous and provided a very professional service. We have always been able to contact him easily and he has kept us informed of progress. We would definitely recommend him. Brilliant service Jamie was very helpful and efficient. He was always easy to contact and responded quickly to enquiries. Would defiantly recommend. I was recommended by 2 other people that used this firm. Thanks for all your support. Second time we have used Jamie and would not hesitate to use him again. Would definitely recommend. Jamie provides a really good service – I really couldn’t fault him. We’ve had some dreadful times with other solicitors, but on the two times we have used him he has been excellent. His price is ‘market rate’ but his service is much much better than the norm. The charge was very good value for the level of service provided. I would recommend to others without hesitation. The service we received was excellent. Ours was a very complex sale and purchase involving unregistered land, leasehold and freehold interests and numerous restrictive covenants. I would definitely recommend Jamie Barrett for conveyancing. Despite being based in the US and selling in the UK we were given exceptional service, swift responses to any questions and feedback on a regular basis. Highly recommended. I have used Barrett Law on three occasions now. They are professional, quick in responding to queries and I would completely recommend them. I would also use them for any other legal work that I should need in the future. I have moved home 6 times over the years and this company was head and shoulders above the others I have used. Why? Simply because the competitive pricing came with great service. Excellent, I would definitely use the again. I would certainly recommend Jamie Barrett to others. A professional, responsive and friendly service. Clear and timely communications – always returned phone calls. Made the whole process of buying and selling less stressful than it might otherwise have been. A first class service, very attentive and meticulous. I would not heistate to recommend Jamie. I can thoroughly recommend Jamie Barrett for conveyancing work. The service he offers is friendly, efficient and clear-cut; he is excellent at keeping you up-to-date with how your transaction is progressing. A 5-star rating! Jamie was instructed to complete our house purchase. Jamie provided a completely professional service at a very reasonable price. He is very knowledgeable on all aspects of the process and could provide quick answers to all our questions. His main objective was to protect our interests and his advice was very sound in this aspect of the deal. I would recommend Jamie highly. Jamie Barrett handled the conveyancing of a leasehold property we bought. This was on a tight timeline (3 weeks exchange deadline and 7 days between exchange and completion). The whole thing was done with speed but no fuss, and he kept us informed by phone and e-mail throughout. All questions answered promptly and clearly by e-mail and phone. Proper, personal, professional service. Highly recommended. I would like to thank you for the excellent service and kindness you gave to me; it was a pleasure dealing with you. I have engaged Jamie Barrett as my solicitor for my last two house moves, and intend to do so again this summer. I cannot recommend him highly enough. He is professional, efficient and thorough while maintaining a friendly and approachable style, and inspires trust that your matter is in good hands, which considerably reduces the stress of moving home. Jamie proved to be an excellent choice when we needed someone to help us produce a will. he made the whole process nice and simple, was patient and extremely helpful when we had one or two questions. I’d definitely recommend Jamie and his firm for the ‘user experience’. As a first time buyer Barrett Law made the transaction smooth and painless, with professional but friendly service at great value. I would definitely recommend to others. I was tempted to use an internet conveyancer. However, I am glad that I chose to use Barrett Law instead. Jamie guided me through my house purchase seamlessly. Everything was dealt with promptly and any queries I had were dealt with satisfactorily and immediately. I always dealt with 1 person, Jamie and despite being busy he always accommodated my restrictions on face to face meetings. I highly recommend Barrett Law! Jamie Barrett acted for me on the purchase of my first flat. As a first-time buyer, I was nervous with the whole process but our house purchase went through seamlessly with Jamie professional experience. He was organised, thorough, efficient and he really seems to care about his clients, and goes out of his way to make time to ensure they feel in touch with every step of the transaction. He communicated with us all through the process and gave me very useful advice when I needed it. I would recommend him highly enough, and will definitely instruct him again‎. If you need a solicitor you know you are heading into a stressful situation and selecting one that is straight talking, trustworthy and thorough is crucial. It is also very difficult as there are a myriad of slick looking ‘cheap internet’ options to choose from. Luckily we were recommended Barrett Law from a reliable source and were extremely pleased with the service they provided us. My advice would be to draw up a short list, phone them up for a quick chat and then choose one you have the best rapport with. You’ll find Jamie very approachable and ‘on the ball’. I chose Barrett Law from a number of local firms of solicitors offering services regarding Wills. With Barrett Law I was very pleased that I was dealt with personally by a qualified solicitor (Mr. Barrett) rather than a member of staff. I found him very professional and he also gave a friendly, courteous and timely service. I recommend him highly. Jamie handled a will and a probate, the sale of a house and the purchase of a flat in a very clear and professional manner. Charges for the work were reasonable and were not overstepped. Very good at local work. Jamie and his team at Barrett Law Solicitors are one of the best solicitors we have ever used. Our recent house purchase went through seamlessly with Jamie’s professional experience; also the creation of our Wills was a very straight forward process due to Jamie’s logistic approach. Many thanks once again for all your hard work and the outstanding level of service. I engaged Jamie Barrett for my first flat purchase earlier this year and was extremely impressed with the service I received. Having heard friends comment on the difficulties they’d had in getting responses from their solicitor, I am happy to say that my experience was completely different. Jamie was professional, efficient and responded to my many queries straight away. All in all he made the whole process pretty stress-free. Jamie handled the selling of my house and buying of our new property. He was efficient, friendly and explained things clearly. I would certainly recommend his services to anyone in search of a solicitor. Jamie Barrett handled the conveyancing of the property that I bought. Professional, responsive, friendly, quick and clear communication impressed me and he clearly stood out from the four solicitors that I had used before to buy and sell my previous properties. The service charges were less compared to the solicitors I used before. Even my Estate Agent was very impressed from the efficient service. Jamie kept me informed of every stage of the process and was always available to answer any question over the phone, text or email. I would DEFINATELY recommend anyone to use his service. The work carried out was conveyancing pertaining to the sale of my home. the service was first class, response time was fantastic, nothing was too much trouble and very courteous. it is so refreshing to come across a company such as Barrett Law who were a pleasure to do business with and i would not hesitate to recommend to others. I will certainly be instructing Jamie to handle my purchase. Excellent work from Jamie Barrett. Handled a sale and purchase for me in 2010, and an Equity Transfer recently. Always clear and efficient communication, and a strong attention to the detail. Would recommend highly. The service I received from Barrett Law was second to none. When purchasing my new property I was mainly overseas and the communication between myself and the firm was ideal and prompt. I can happily confirm that Barrett Law offer a fantastic value for money service, which I would no doubt recommend to close friends and family. Excellent 5 star service. Barrett Law handled the purchase of a new property for us. We found them extremely helpfull and thorough. What we found most reassuring was the fact that Jamie kept us informed of progress at every stage of the process. We wouldn’t hesitate to recommend or use their services again. I worked with Jamie while purchasing and selling my house and found him extremely helpful being dyslexic the paper work always worries me and he was great at sitting down and going through things face to face which I found invaluable and made the whole process much easier and less stressful I would recommend him to everyone.